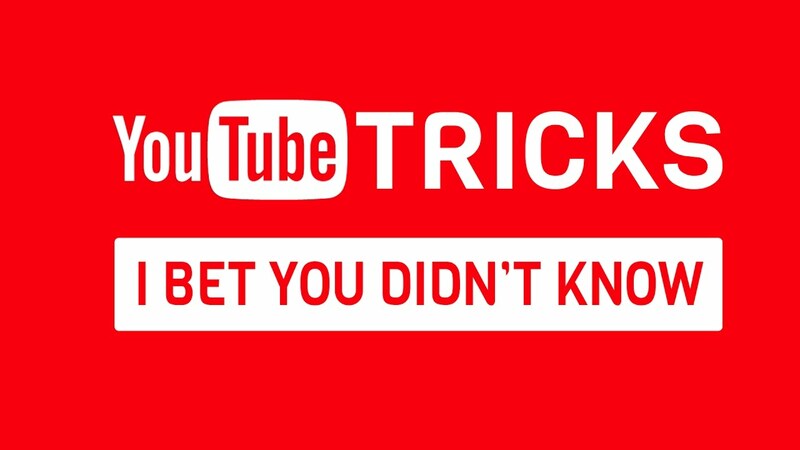 Tips and Tricks on how to use YouTube Like a Pro. Most of us have spent a lot of time surfing through loads of videos on the YouTube. Trailers, movies, parodies- you name it, and the one site that comes to mind is YouTube. And the best part is that the site is so seamless. So smooth. So friendly. Even after being so familiar with the site, we're still unaware of many awesome tricks it has to offer. Like the ones listed here. Check 'em out. 1. Just add "GIF" to the front of a YouTube URL: You'll be taken to GIF YouTube, where you can set the length of your GIF and add captions. 2. Google's Video Quality Report can show you what quality of video your internet provider can support. The website can also compare your speed to other providers in your area. 4. Just add a simple 'ss' in the URL after www and before YouTube to download YouTube videos effortlessly. 5. If you own a smart TV or Chromecast, you can beam YouTube videos from your mobile device to a TV display over Wi-Fi. 6. Watch age restricted videos without logging in. Came across an age-restricted video? Don't feel like logging in? But still, wanna watch it? Because hey, it's age restricted! Well, worry not. All you have to do is, remove "watch?" from the URL, and replace the "v=" with "v/". Press enter and enjoy the video. 7. Start your video at a specific time. Wanna start your video from a specific time? Just add "#t=" followed by the time you want your video to start from. For example, "#t=1m2s" or "#t=62s". 8. Operate your YouTube only through your keyboard. Don't feel like using your mouse or your touchpad? Just type "/leanback" after https://www.youtube.com and press enter. 9. Peggo is a website that can turn YouTube videos and SoundCloud tracks into MP3s. 10. Solon is a website that can combine Youtube videos, SoundCloud tracks, and Vimeo videos on the same playlist. You know the tricks. 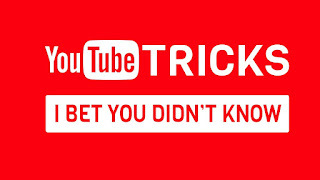 You have YouTube. What the hell are you waiting for?